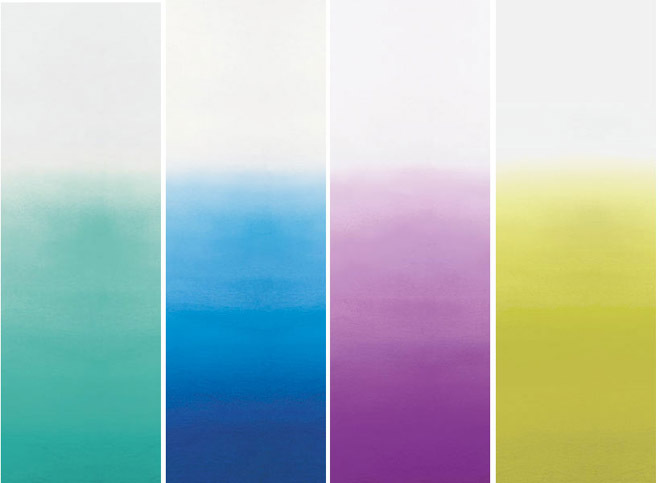 After this summer I thought I was sort of over the dip dye craze – the trend in my books was being hung out to dry with the owls, deers and moustaches; until I came across this pretty stunning wallpaper from Designers Guild. 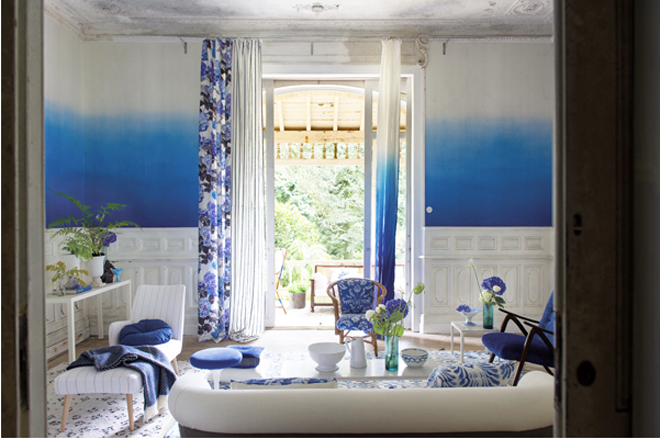 The Autumn 2012 Saraille Collection includes perfectly ombréd wallpapers in poster-paint hues of cobalt, crocus, acacia and aqua. Making for a stunning backdrop to any indoor space. Subtle, yet bold this collection is beautiful and possibly one of my favorite wallpapers ever. See more beautiful images below. Check them out at Rockett St. George here. Update! And if you're in the Vancouver area and online Cross Design is also carrying it! Eep! OMG this is awesome! Especially with all of the cool architectural details in the rooms. LOVE this! Da schließe ich mich dir an. Das sind echt tolle Farben und ein tolles Design. They are really beautiful wall papers. And the interior designs are gorgeous yet looks cozy. I love the color gradient on the curtains..on the wall it´s a bit to much for me..but nevertheless it look fantastic..
i love the gradient on the walls ... omg, gorgeous! 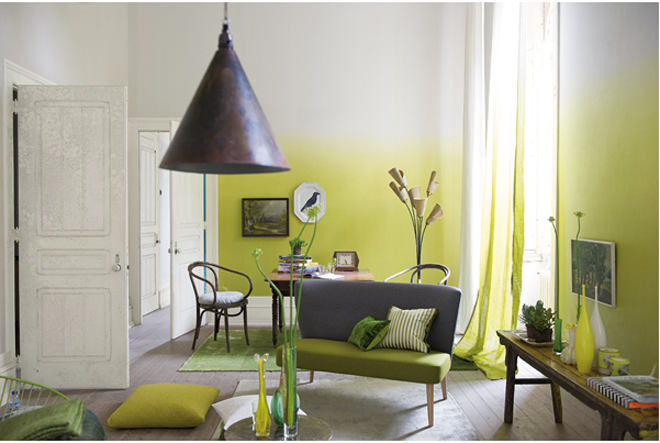 I love the new Collection by Tricia Guild. Last Year i was in London and visit the Showroom and her own House. It was great. that is stunning! 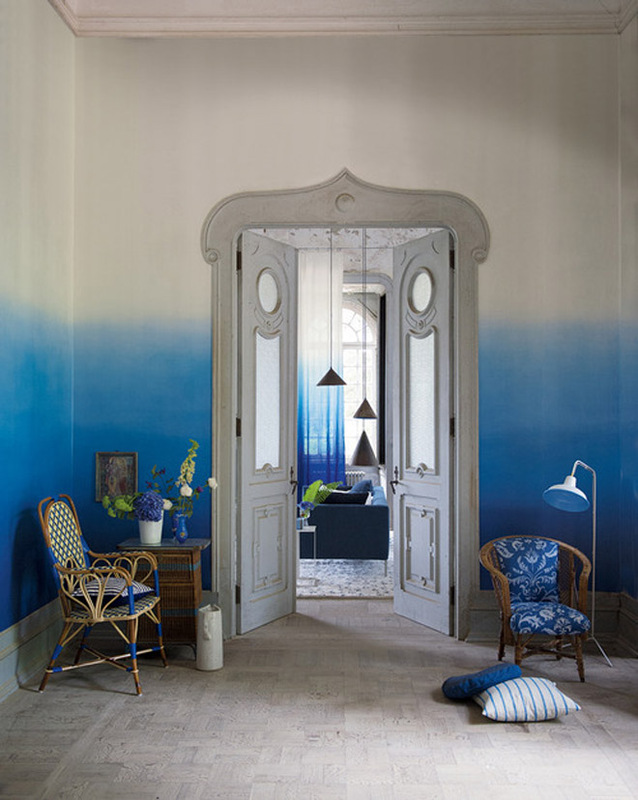 I love the idea of a dip dye wall or room, it adds so much elegance and flair! I know this is very late as this is an older blog post, but does anyone know where the floral curtains in the picture with the purple ombre wall are from? 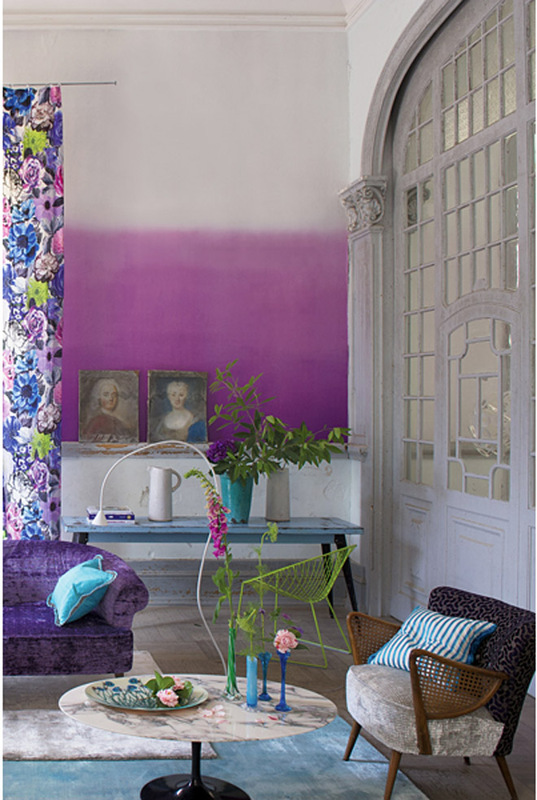 Those are most likely Designers Guild also - as they do make fabrics as well. Please, I am dying to know something about the origins of the gorgeous blue, gree, gold and wood trimmed (small fireplace? Room Heater?) absolutely unique figuratively painted (?) 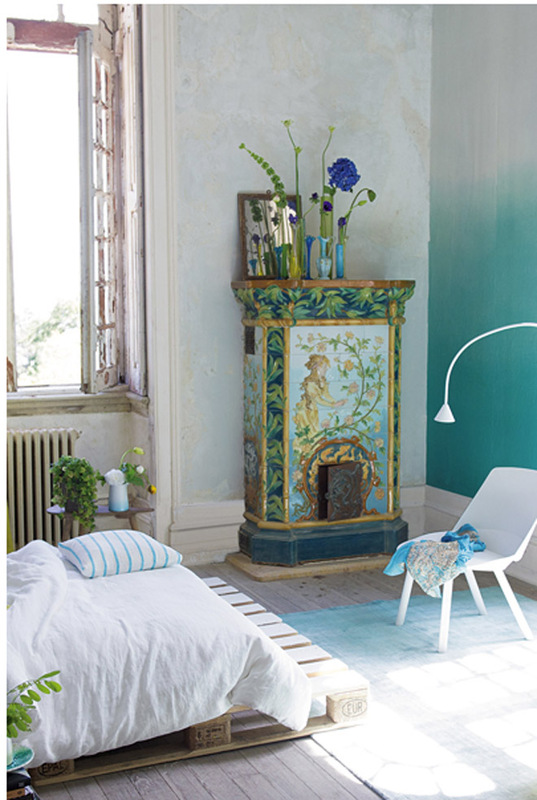 piece in the room with the green dip-dyed wallpaper, futon bed, white chair, tiny white light, large old window, etc. Thanks very much!